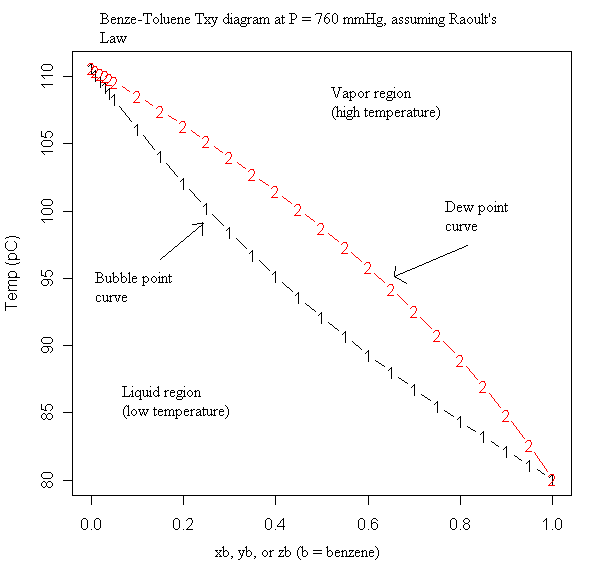 What is the reason behind drawing dew point curve and bubble point curve as curved (and dew point curved outwards and bubble point curved inwards) for Temperature vs Composition Phase Diagram as per Raoult's law? 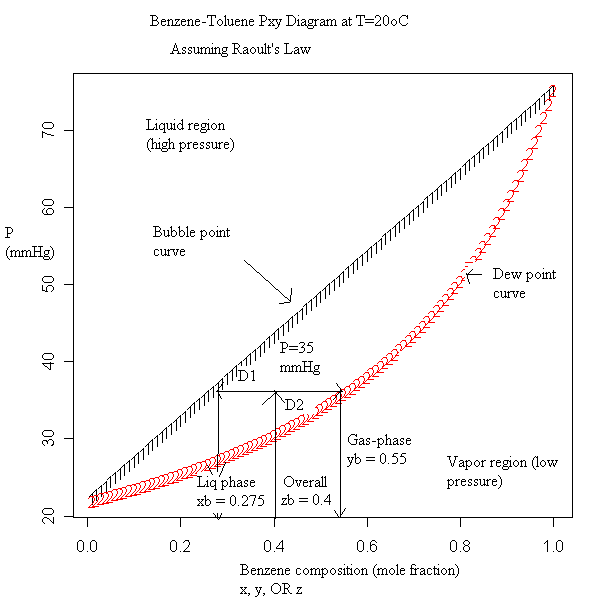 I know that for Pxy (Pressure vs Composition) diagrams bubble point curve is straight and dew point is curved since expression for total pressure is directly and inversely proportional to composition respectively. How exactly is temperature related to composition in Txy diagrams and why are they curved in that way? Would someone please help me understand this in an easy way? Browse other questions tagged physical-chemistry equilibrium phase or ask your own question. What are the triple point pressure and temperature for pure cyclohexane? Is dew and water vapour the same?